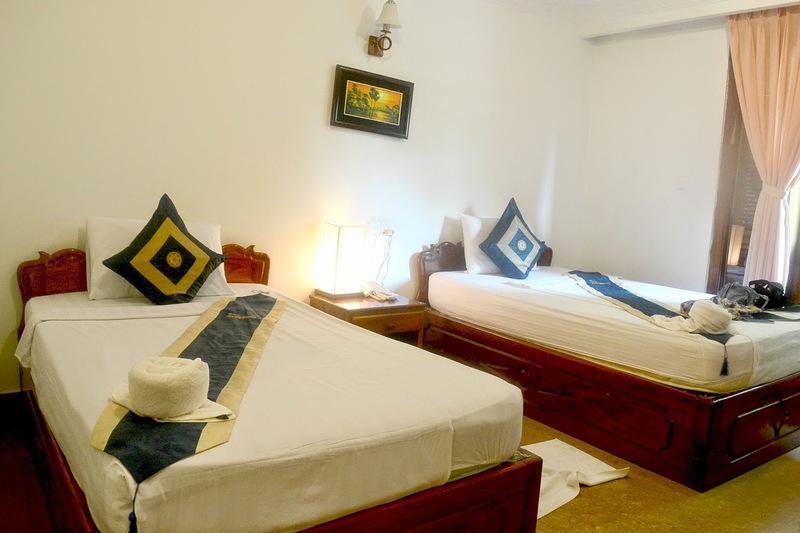 The room that we booked was for triple-sharing but since someone from our group won't be able to join the trip due to some unforseen events, only two of us arrived in Siem Reap. 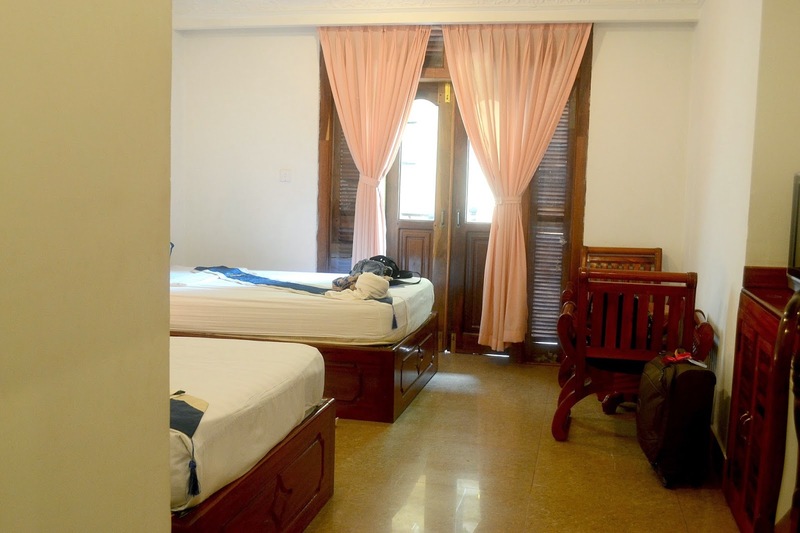 We were given the triple-sharing room that we booked but since it was at the "old" part of the hotel and looks creepy and has an unpleasant smell, we requested to be transferred to the new wing (the following day) but opted to get a room with twin-bed instead. This we got at no extra charge. The staff was really friendly even if its past 10pm when we arrived. There's also free wifi service in the hotel. 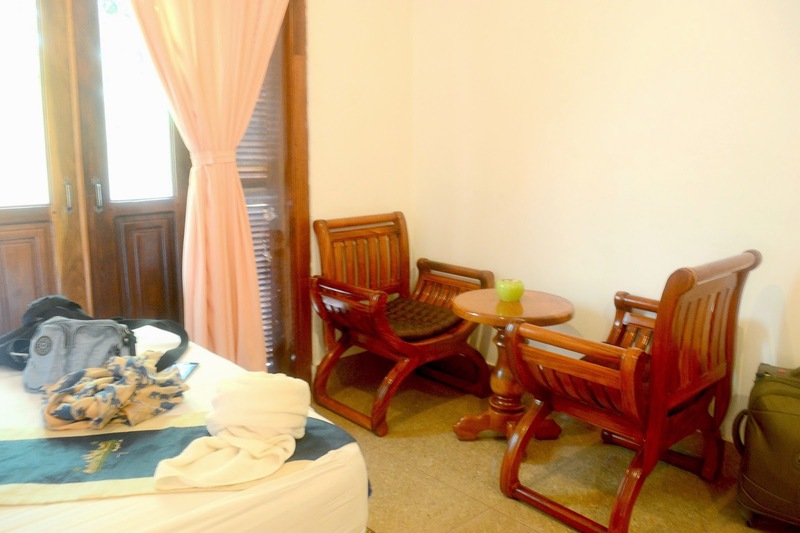 The triple-sharing room costs $30 per night and is inclusive of breakfast. So we moved to room #36 at the second floor of the new wing. The small balcony has a view of the swimming pool below. The room was nice compared to the first one that we got, and it's a bit spacious too. Bed was comfortable and linens clean. However, don't expect duvets or comforters and other whatnots. I do have to say that I admire the hardwood bed and chairs and even the doors. The wood gives our room a rustic-feel. Breakfast buffet was included but don't expect a big spread with many choices. There's a choice of rice, vegetables, noodles/pasta, bread, coffee and juice, some fruits only. But breakfast is breakfast. Overall, I did enjoy my stay at the Rithy Rine hotel and would recommend them. The staff are very courteous and friendly. 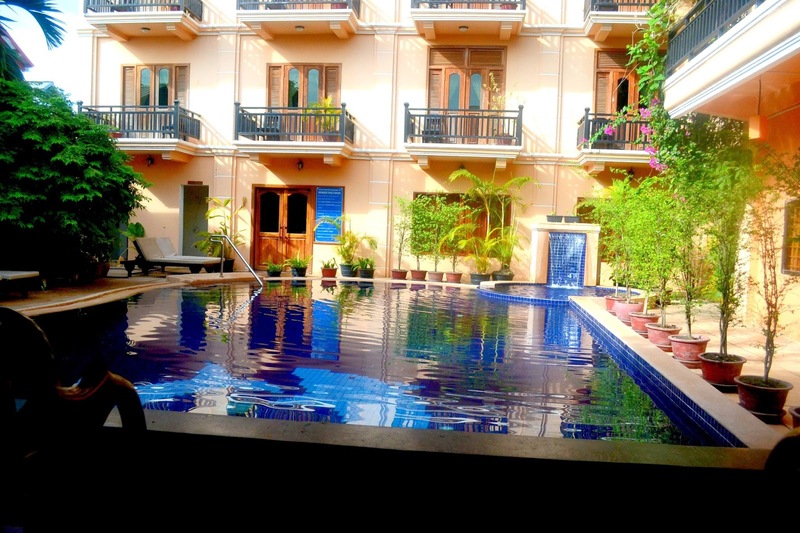 Maybe will stay at the same hotel on our next travel to Siem Reap. Read about My First Glimpse of Angkor here and Arriving in Siem Reap here.